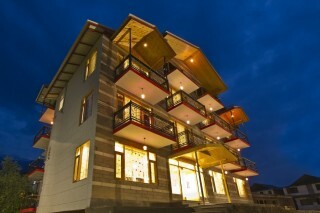 Located on the Mall, this is an offering of a private room in a guesthouse which can accommodate up to three people. 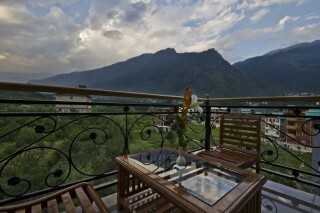 The property boasts ample parking space, and is ideal for a relaxing holiday in the mountains. 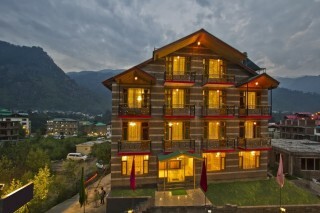 Your Space The room on offer is furnished to provide modern comfort. It houses a plush double bed with side tables, a couple of arm chairs, a coffee table, a spacious wardrobe, and a dresser. A flat-screen television is set up to keep you entertained while you are indoors. 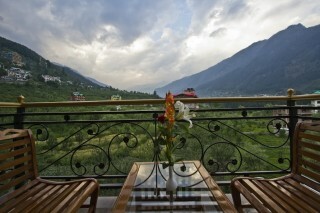 The attached balcony makes for the perfect spot to sip a hot cuppa and admire the stunning view of the mountains! Places to visit - Hidimba Devi Temple - 1.4 km. 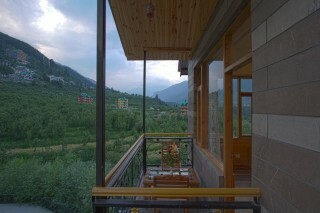 Solang Valley - 11.8 km. 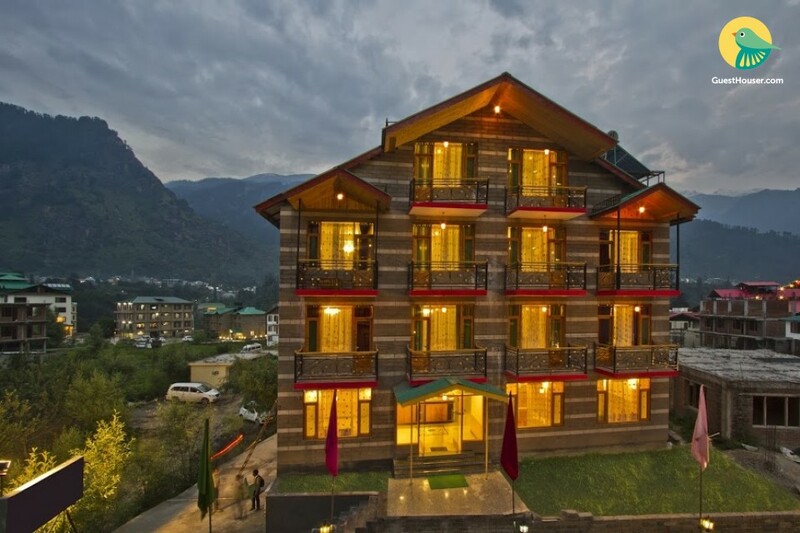 Solang-Nullah - 13.3 km. Jogini waterfall - 1.7 km. Manu Temple - 2.4 km. Rahala Waterfalls - 28.4 km. Beas Kund - 21.0 km. Bhrigu Lake - 18.1 km. Rahala Waterfalls - 28.4 km.